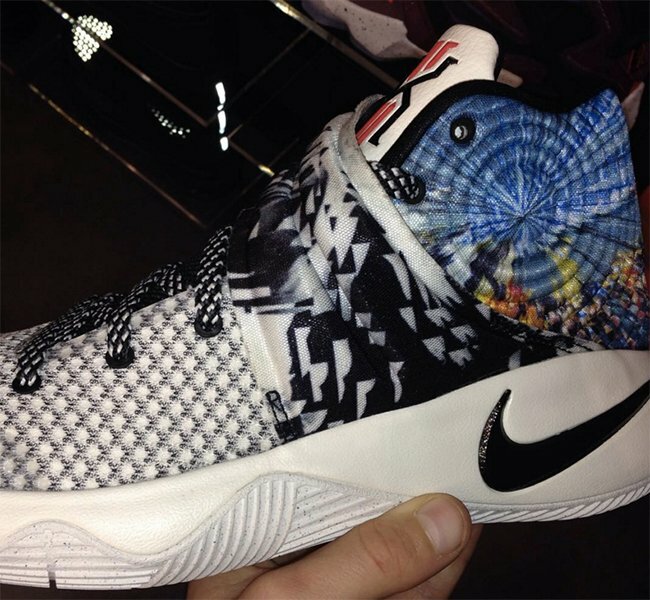 The Kyrie 2 will be unveiled soon but we continue to see new pairs leak. 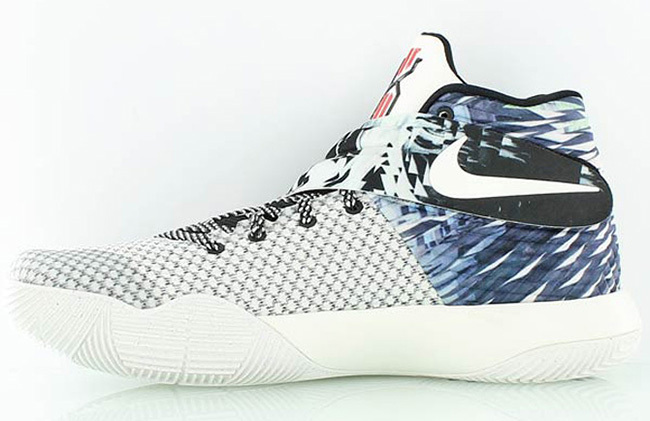 The latest pair that will catch your eye is the Nike Kyrie 2 ‘Tie Dye’. 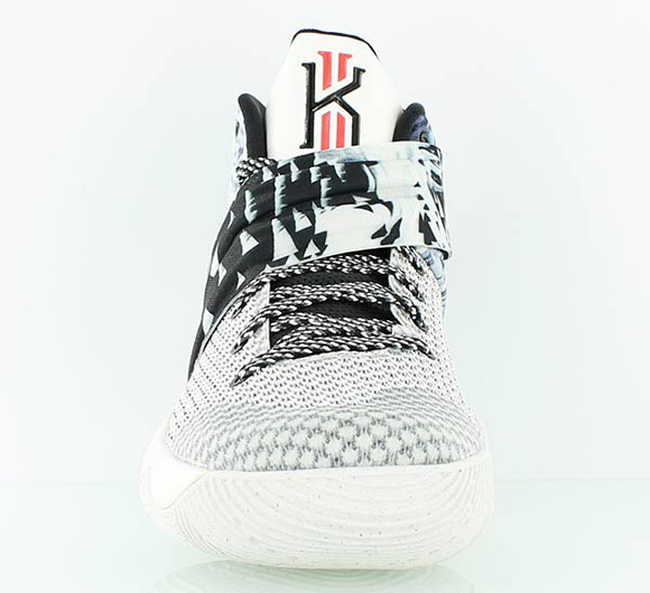 With the pairs we have so far seen of the Kyrie 2 we can tell that this will be a versatile model, hence the use of tie-dye by the heel which resembles a mirage of some sort. 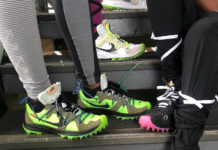 We know when we get closer to a release a background story will come forward. 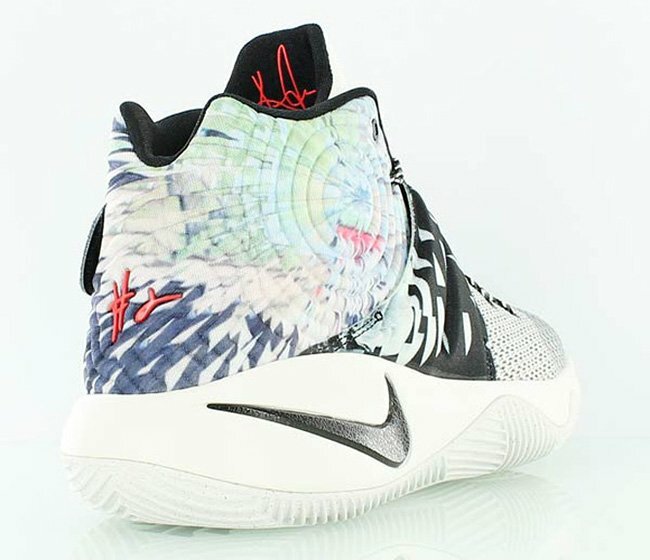 Other than that, they feature a white Hyperfuse base with the cross strap using black and white to showcase another unique design. 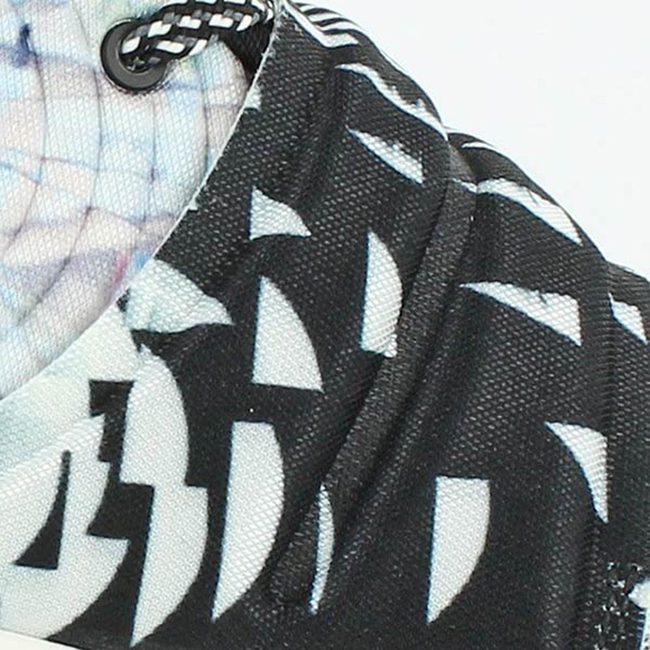 The final details is a white midsole and speckled outsole. 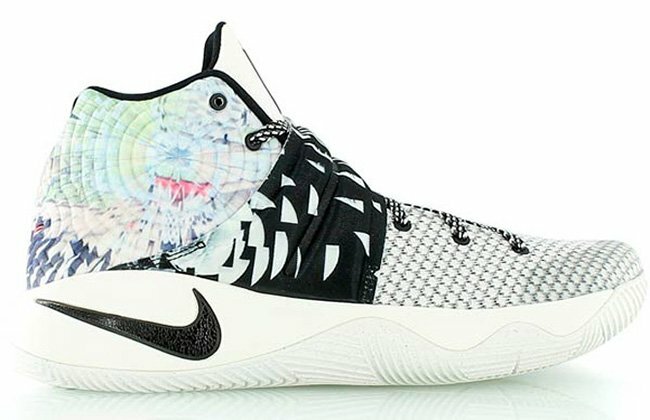 On December 15th, a Nike Kyrie 2 will release which uses a multicolor, black and sail color code which appears to match the Tie-Dye pair. 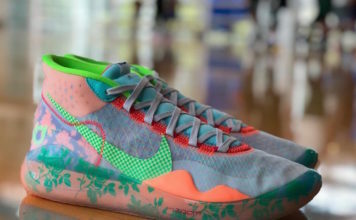 We can’t confirm if this is the pair that will be releasing on that day, but it’s a possibility. 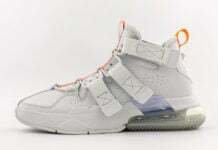 Check out a larger image by scrolling below and let us know what you think by dropping us a comment. 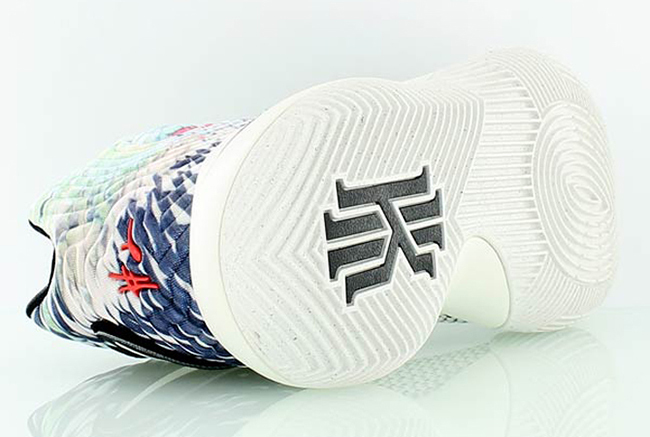 Update: We take another look at the first Nike Kyrie 2 set to debut on the 15th of this month from Kickz. 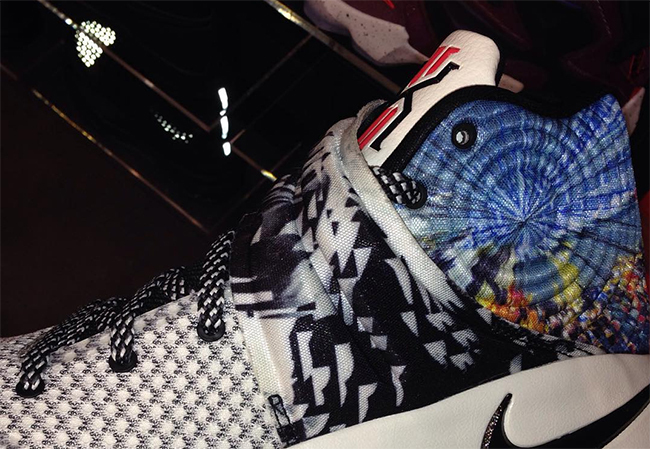 Known as ‘Tie Dye’ for now, Nike should come fourth with an official press release soon.